West Central Kentucky gas prices jumped by 12 cents this week to $2.341 per gallon, according to AAA East Central’s Gas Price Report. The Great Lakes and Central states collectively are seeing gas prices increase more than any other region in the country. 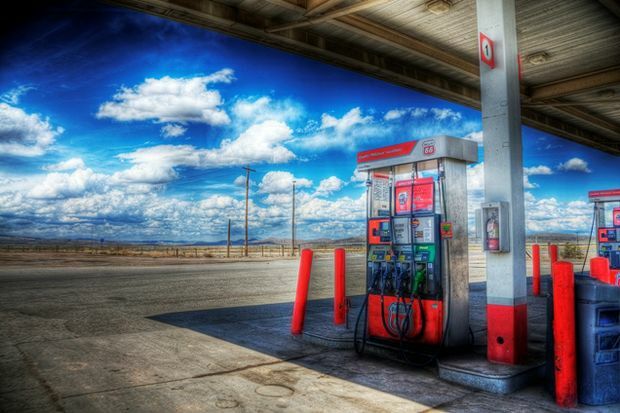 The region has seen gasoline inventories decline for five weeks straight. At 46.6 million barrels, inventories register at the lowest level of the year and 4.65 million barrels below year ago levels. As supply tightens, gas prices are increasing for motorists in the region. At $2.47, today’s national gas price average is one cent more on the week. Gas prices are fluctuating across the country with 25 states paying more, 17 states paying less and nine states staying stable on the week for a gallon of regular gasoline. Despite the fluctuation, the national average gas price should decrease as the holidays approach. At the close of Friday’s formal trading session on the NYMEX, West Texas Intermediate closed at $53.90/barrels, with a gain of $1.26 for the day. Oil prices may continue pushing higher this week, following the release of EIA’s latest report that showed exports of U.S. crude surpassed 1.9 million b/d for the second time in the last four weeks. The growth in exports has helped the price gain amid concerns that global supply is tightening as OPEC’s production reduction agreement has greater influence over the oil market. Additionally, total U.S. crude inventories rose by 900,000 barrels as inputs to refineries rose by 609,000 b/d. The refinery increases are likely due to production levels stabilizing above 16 million b/d after restarts of several Gulf Coast as a precaution ahead of Hurricane Nate's landfall earlier this month.